During the first year of the Trump administration, the Republican-controlled Congress revived the seldom-used 1996 Congressional Review Act to cancel numerous Obama administration regulations. 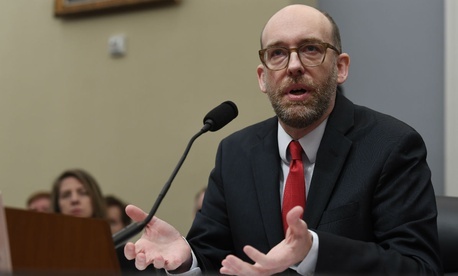 On Thursday, acting White House Budget Director Russell Vought hinted at plans for further use of that law’s authorities when he informed agency heads of new rulemaking review powers being given to the Office of Information and Regulatory Affairs. The key issue to be more closely monitored by OIRA is determining whether a proposed rule is “major,” meaning it would have annual effect on the economy estimated at $100,000,000 or more. A rule would also be "major" if it would involve a “major increase in costs or prices for consumers, individual industries, federal, state, or local government agencies, or geographic regions." Or it would be "major" if it might have “significant adverse effects on competition, employment, investment, productivity, innovation” or it could affect “the ability of United States-based enterprises to compete with foreign-based enterprises in domestic and export markets." “For rules the agency considers major and those rules not previously designated by OIRA as not major, the agency should submit the rule to OIRA for a CRA determination at least 30 days before the agency publishes the rule in the Federal Register or otherwise publicly releases the rule,” the memo said. OIRA will review all the proposed rules before subjecting the major ones to the deeper review process and reporting the major ones to Congress, as intended under the CRA. Vought stressed that the CRA applies to “more than just notice-and-comment rules; it also encompasses a wide range of other regulatory actions, including, inter alia, guidance documents, general statements of policy, and interpretive rules.” Exemptions include rule of narrow applicability to an agency or to its personnel or organization “that do not substantially affect the rights or obligations of non-agency parties." Agencies are to begin compliance by May 11, and should consult with OIRA desk officer if there are questions. OIRA is currently being run by acting administrator Paul Ray, who took over for Neomi Rao last month after she won confirmation as a judge on the U.S. Appeals Court for the District of Columbia.